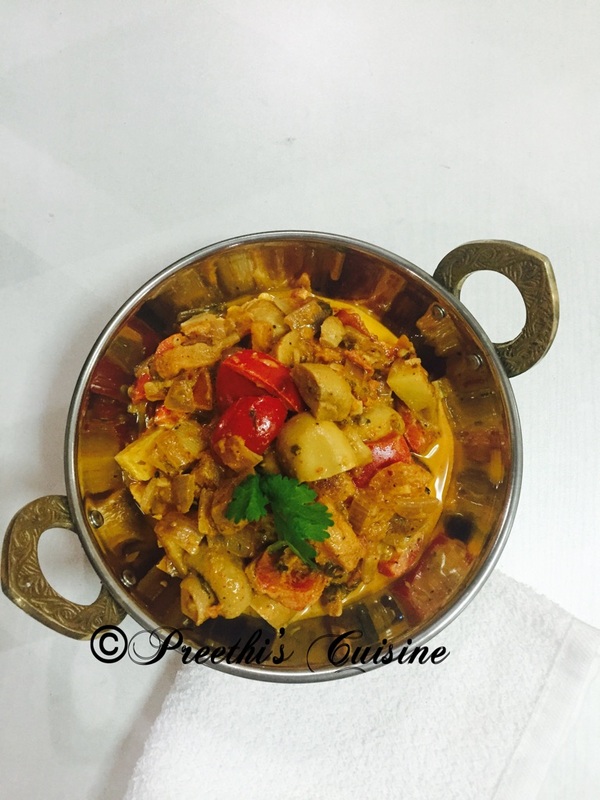 Kadai Mushroom masala and Kadai Paneer Masala are mostly cooked in many households and loved by all too. I tried to add some zest and colour to Kadai Mushroom Masala and yes the experiment was a hit with my family. The freshly made Kadai masala enhances the taste and gives a nice aroma. Dry Roast Bay leaves, cloves, cinnamon, dry red chillies and grind coarsely. Heat oil in pan. Add crushed Coriander powder, ginger and garlic paste. Roast for a second. Add the finely chopped onions and saute till they turn little brownish. Add the freshly ground kadai masala, red chilli powder and chopped tomatoes and saute till the oil separates. Add Mushrooms and red Bell pepper/ lal Shimla mirch. Add ½ cup water and salt to taste. Cover it with a lid and let it cook on low flame for 8 to 10 mins. Switch off the flame once done. Add fresh cream on the top, garnish with chopped coriander and serve hot with Rotis or Phulkas. Thank you Roy. Do try and I am sure you will like it. This recipe looks wonderful. I am going to have to hunt down ginger paste at our Asian market so I can give it a try. Yummy preparation. 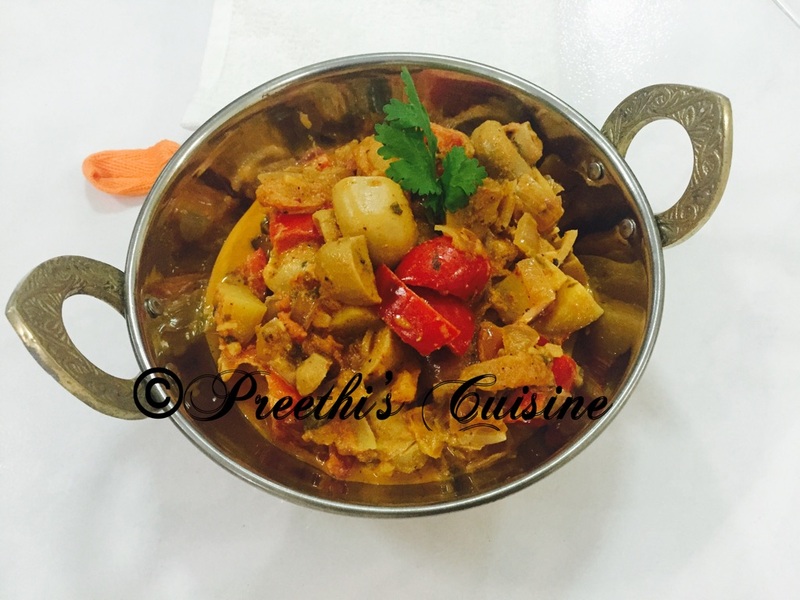 My all time favourite, kadai mushroom or paneer. Sometimes I mix both and make it. Thank You Mayuri. I agree it’s an awesome combo.